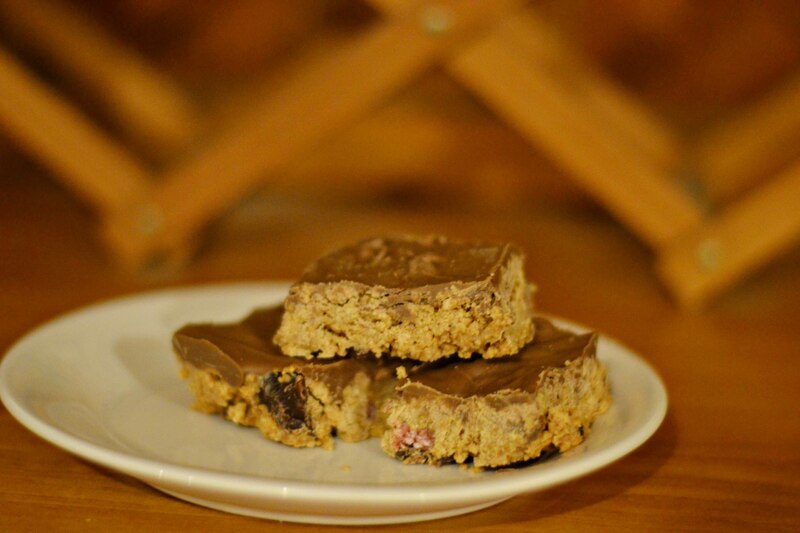 Cherry ripe and turkish delight slice – Even the title sounds pretty amazing, doesn’t it? Oh yes! So I’ve been thinking, with all the recipes I’ve been playing around with and creating lately, why not make it a regular thing. So welcome to the first of my Tasty Tuesday blog posts. Each week I will share with you one of my own recipe creations, or an old goldie that I’ve tweaked or added a special twist to. 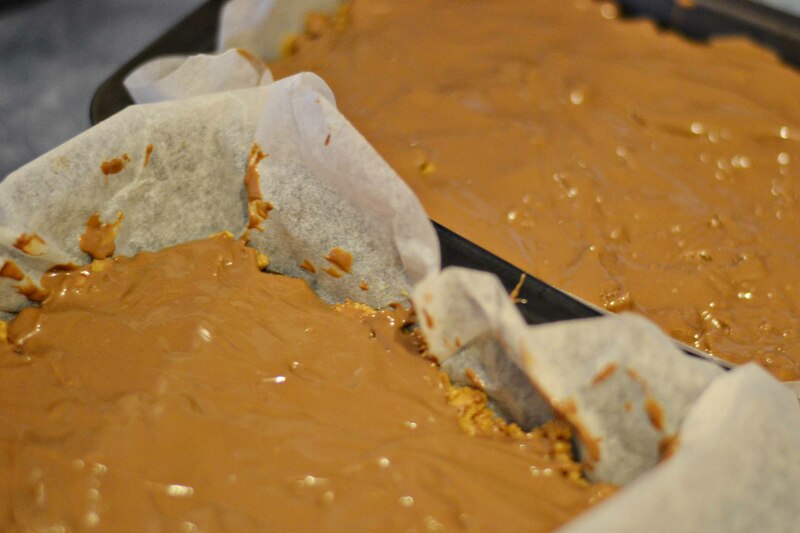 First up is this decadent and truly delicious no bake slice. There are a lot of variations of this recipe floating around lately, but I can thank my mum for this particular combination. When she first made it I doubted the flavours would mix. One was dark chocolate, the other milk chocolate, both with super sweet filling. A bit much, wouldn’t you think? Well I suppose it’s borderline… which means it’s amazing! 1. Crush up your biscuits in either a food processor or with your rolling pin. 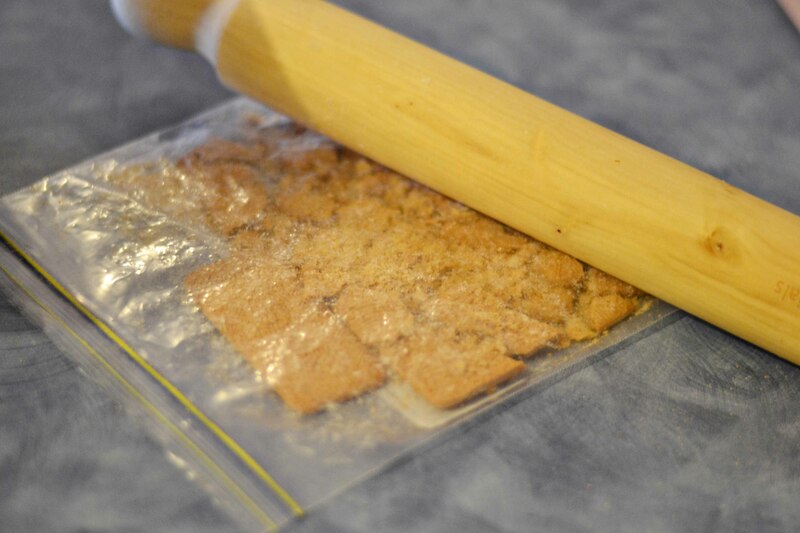 I have a food processer, yet I usually go straight for the rolling pin, putting a few biscuits at a time in a sandwich bag so they don’t make a mess and smash away. It’s quick enough and far less clean up required. 2. 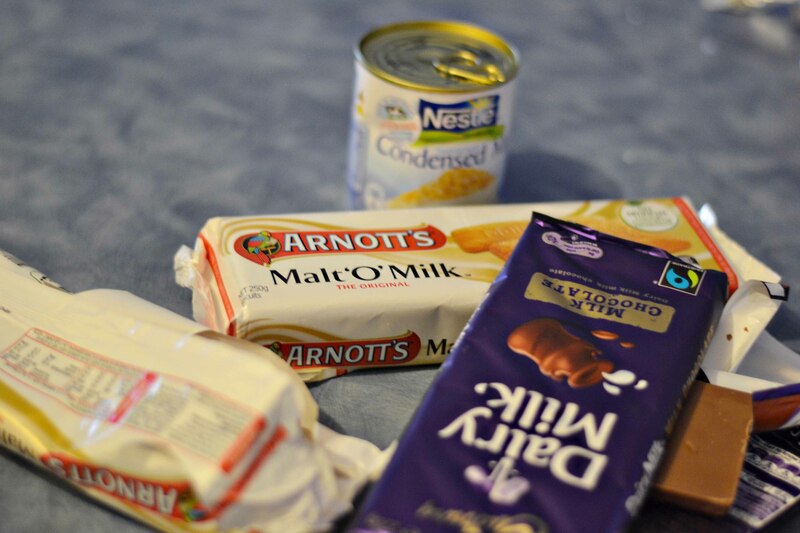 Pour in half a tin of condensed milk and mix through until your mixture is sticky. 3. 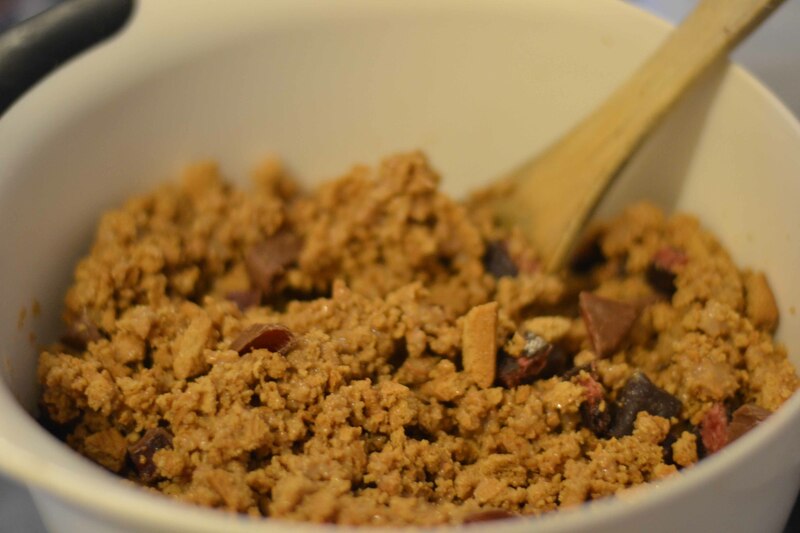 Cut up about 5-6 of each funsize bar into small pieces and mix through your biscuit mix. 4. 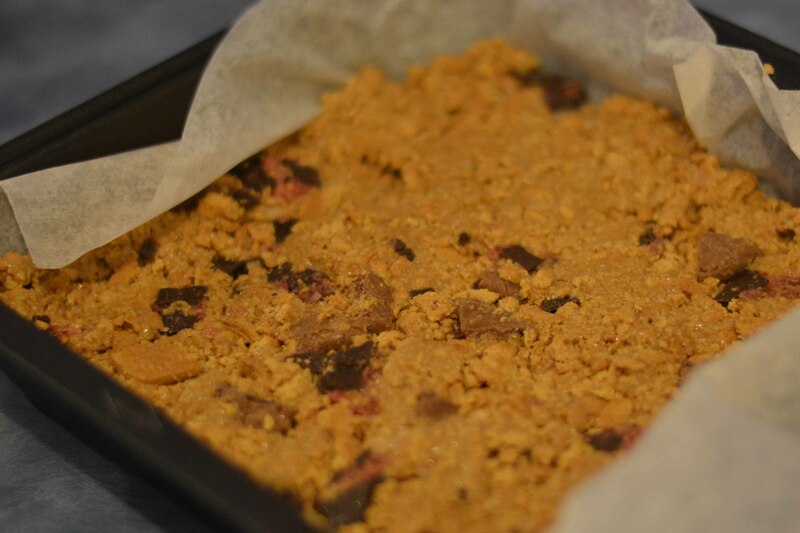 In a baking paper lined slice tray, press your biscuit mix firmly with a spoon or your hand if its easier, making sure it is compact in the tray. 5. Melt your block of chocolate. Pour over your slice evenly. 6. Put tray in fridge until set. Once set, cut into desired sizes and serve. When melting chocolate, and after many disastrous attempts over the years, I now find the easiest way is in the microwave. Break up into small pieces (or you could use chocolate buds instead of a block of chocolate… It’s just so lovely with a block of Cadbury). Put 1/3-1/2 of your chocolate in microwave container and heat in 30 second intervals and stirring in between each heat. You usually only need to do this once or twice for each batch. The half a tin of condensed milk also seems like a little bit of a waste. There is no harm in making a double batch. I did (I don’t do things in halves apparently). I haven’t tried freezing this slice but it may be possible if you want to have a batch for another day. The great thing is you can substitute the Turkish delight and cherry ripe for anything you desire. Banana lollies, raspberries, snickers, kit kat, jelly beans… the options are endless! This recipe is definitely going on my must-try list. 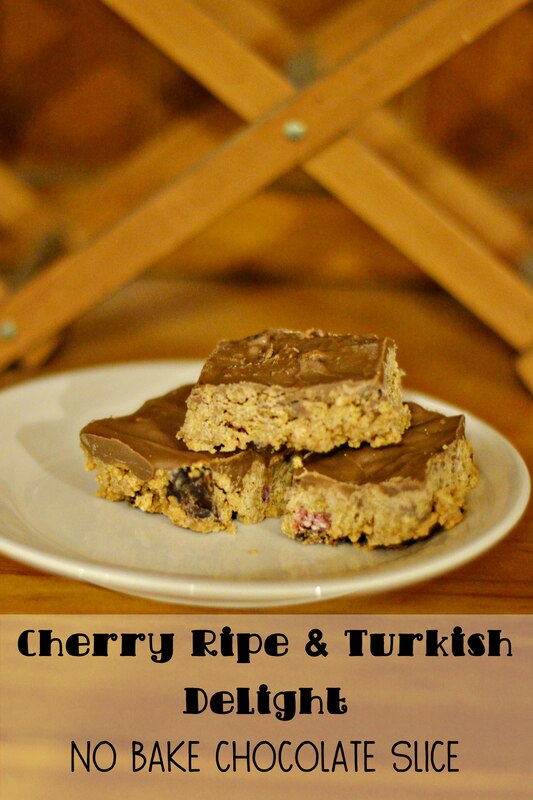 Cherry Ripes are my absolute favourite chocolate bar, and Turkish Delight is not far behind.